For every woman one of the most beautiful experience of there is life is motherhood because whenever a girl becomes pregnant she is also nourishing another life with her own life and that is when a whole new woman is also being born and under process whom we all know as mother. whenever a woman gives birth to a child she gives birth to a mother as well and that face needs to be cherished. by getting Maternity photography in Mississauga done you are going to get all those moments of every phase of the pregnancy captured to cherish forever. Every woman who is going to be a mother soon would always be noticing the changes that she is experiencing in a body right from the belly that she gets developed with the pregnancy and at its each semester you can see it more and more developed and that is when you always want to get Maternity photography in Mississauga so that one can enjoy those moments later on when they see the photographs and can just smile away. And once you get a newborn in your family please do not forget to get the photography done for the child it’s because the auspicious movements of those tiny Little Fingers of your kid will never come back in your life again. GTA Portraits is one of the best providers for newborn photography in Mississauga and you can always trust them with your newborn babies safety and health as they will be very cautious while using lights and they will prefer shooting the photographs in natural light so that the child is always safe and does not suffer from any distress caused by the light. you can trust GTA Portraits to get the best possible photographs captured of your newborn child that you can cherish with your kids once they grow up and show them how they used to look just when they were newborn babies. Have you ever thought of different plans that you may have for your wedding; let’s imagine you are planning your wedding yourself what all things you will have to look into right from the make-up artist to make you feel like most beautiful. Then comes your wedding dress one that you always have dreams of in imagination Or seen in some engagement photography in Mississauga of your friends or in some store or magazine. Because in the end you deserve to look like a princess you have dreams off. Then comes the venu, it is very important part which needs to be booked in advance. Or else you may not get the booking for your dream venue. One more thing you always look into is the number of guests that are coming for the event. You may have some hotels or halls seen in wedding photography in Mississauga in some flyer or somewhere else that you want for your wedding. When it comes to theme of your wedding, make sure it is according to the weather. I mean you can’t have a Cinderella wedding on a hot summer noon. It should match weather and time. 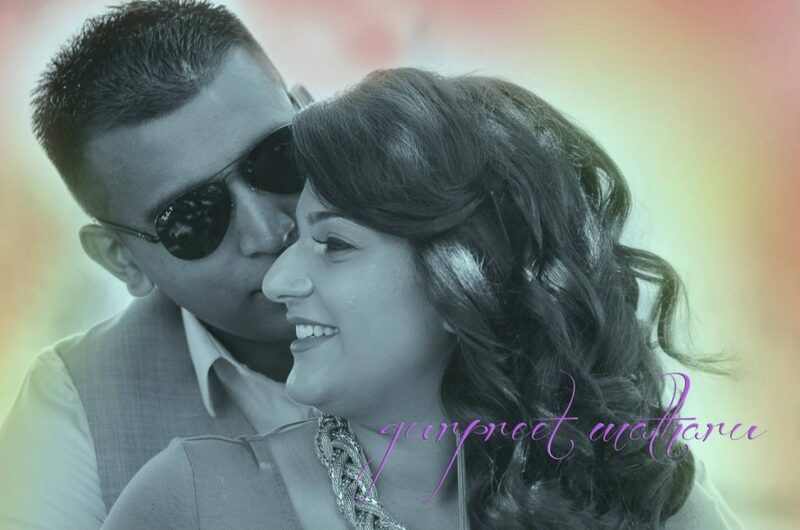 When you have wedding photography to be done never forget to book GTA Portraits in Mississauga. They are the best in town. They will do all types of photo shoots for the event and they are the best whatever the weather is or time of the event is. They work awesome in Daylight photography. Photography Is Essential For Every Wedding! Whenever we talk about photography we always have to remember that we need a good photographer to click photographs that can be kept his memories with us forever specially for days like wedding day or engagement day where you are going to have a special attachment in a special Bond that you want to preserve in the best possible photographs. 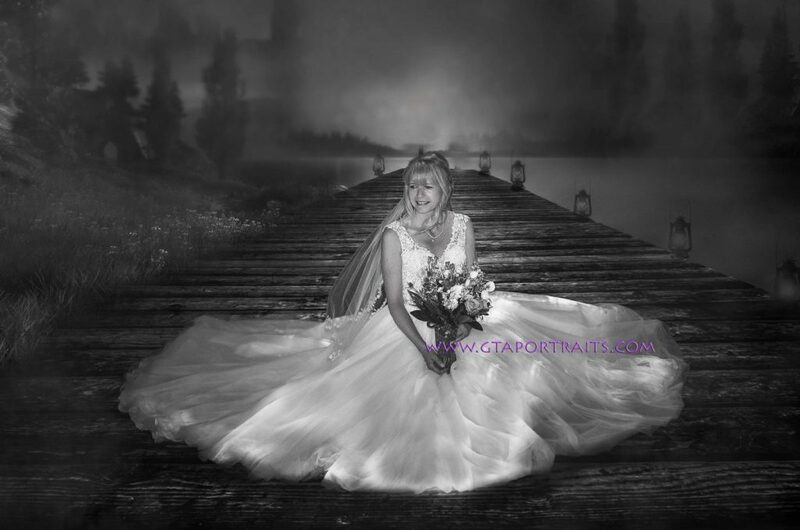 Professional photography in Toronto is easy easily available and you can always of for a good quality photographer who has a nice portfolio to do a real good photoshoot for your wedding day. It is very important that the photography did you get done on your wedding day is exactly the way you wanted, after all couples should look beautiful together and through the lens of a photographer you can see yourself in the best form, wedding photography in Toronto is therefore much much appreciated and wanted for every wedding to make it special. There is a lot that you get with GTA portraits as they tour plan everything in advance where you have to get your photo shoot that they have the whole event schedule with them so that they do not have to miss on anything and you get a complete photography shoot done for every single thing that you really want to get captured on your wedding day. they also provide amazing crops that you get used to enhance your photographs on your wedding day as well as you get some really good ways of getting printed your photographs and storing with you. Photography Is A Must Do – Creates And Saves Memories! When it comes to ainy events or any occasions that have huge impact on our lives, we always want to save the memories of the event with us forever and those times we always opt to take photographs and save those as a still images of the event that we enjoyed and it remains with us forever for years to go as a memory. Engagement photography in Oakville is a clear example for the same. When we talk of an engagement ceremony we talk about a new relationship that is just going to start and when a new relationship starts we always want it to be perfect and captured and preserved with us forever as a memory of the day that changed our lives and we get a new person in our life, those days it is mandatory to have engagement photography in Oakville done for your event, so that you get to capture the best photographs that are possible. Animation ship where there is a new person who enters your life it is writer an important that we always have photographs of that relationship captured and saved with us as memories to cherish all our life. When a child is born it is one all the best events that occurs in a life of a woman and a man as they become parents it is a both of them to with the kids. It is well said that a woman is born again when she gives birth to a child and this time as a mother and she deserves every bit of that moment to be captured and saved as a memory forever and who can best do it then GTA Portraits who are experts in newborn photography in Oakville and they know of to captured the precious delicate moment that a mother and a Child shares and even the small little images of the newborn baby in the best way possible. GTA Portraits will help you create a storyboard for your newborn baby’s important days photographs like the first week of the newborn bday to first month photography and so on and take it through until the newborn is 1 year old and more. Newborn photography in Oakville captures and saves photos to be cherished and to show it to your kid also once they are big enough to realise that it is there photo and that is the reason that newborn photography Oakville is so important. Photography Saves It All Into One Frame – Family Photography! There are so many ways that photography can be considered as a blessing. It is one of the easiest ways we can save memories of events and loved ones for life. It is because of these photographs that we can see and cherish a person even after their death. Professional Family photography in Oakville is known for the perfect photography that is done to capture the family photographs. There are so many different ways that you can have family photos captured, you can have some awesome family photograph clicked. You can have it snapped inside the house and have a family photograph saved with them forever. There are families who prefer indoor photography and there are others who prefer outdoor photography. 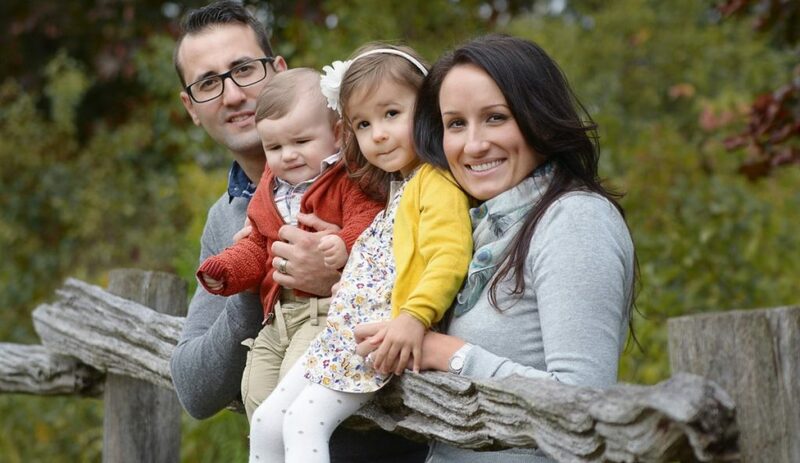 Normally when it comes to capturing family photography in Oakville families opt for professional photography and not clicked by an amature. There are many companies that excel in family photography, one of them is GTA Portraits of one of the photography company who excel in all kinds of photography services from baby photography, newborn baby photography, engagement photography in Oakville, wedding photography, maternity photography and many others like smash photography. At GTA Portraits we capture all the special moments & preserve them for life, we specialize in Family Photography in Brampton. We use latest technology in professional photography that the photography industry offers to capture intense and candid emotions and moments of the special time you can’t to get snapped with your family. Every photograph tells a story which is why we capture important family moments that our clients would love to preserve and cherish in life later on. You can get incredible family portraits captured with GTA Portrait, perfect way to record memories of a particular place and event and time spend together. Getting images captured of the lovely moments, of the time spend together in family photographer in Mississauga. Capture The Moments That Are Priceless And Will Remain With You Forever! 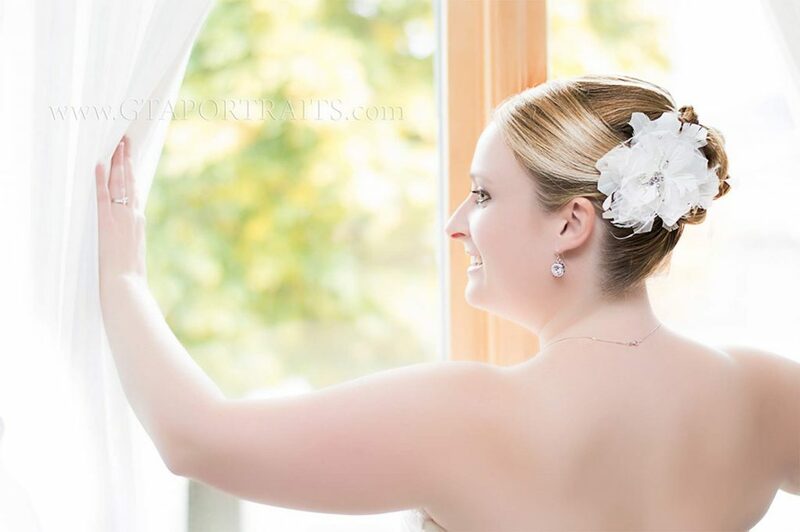 Life is precious and capturing every moment of it is as important, life is unpredictable, these photographs are like memories that will last forever… Wedding photography in Toronto is quite famous for it helps all the happy moments stay with you always. Wedding is one of those events that holds a special event in your life that changes your life forever, one time when your life changes forever. Capturing moments are a bride is so much important, the bride will cherish it for rest of her life and proudly show those pics to their kids and friends even after years. GTA Portraits does wedding photography in Toronto, using incredible handmade props and utilize natural light to come up with timeless photographs that will last in your family for generations to come to cherish and remember it. As Wedding marks the journey of togetherness, unity, love, we at GTA Portraits capture all the precious moments into photographs that can be cherished ever after. You will be reliving your day every time you see the photos. And you can capture time in photo. 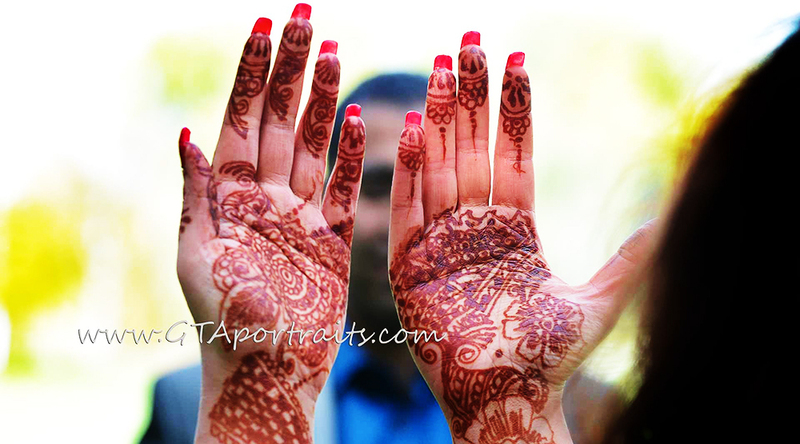 You can get professional photography in Toronto done from the pre-wedding rituals like in an Indian wedding includes Mehndi ceremony where the bride gets special Mehndi tattoo done on hands and feets,the bride makes sure her Mehndi photographs are taken for her to cherish later on, haldi ceremony is important where turmeric paste is applied by relatives on bride and groom a day before the wedding, sangeet is more like a pre-wedding celebration wherein everyone performs and dances eats and have a gala time and all this deserves a good lense capture to rejoice the event, and then wedding and is like the best part a day when the bride has butterflies in her stomach and has all shy and thrilled to start a new phase in her life.